elec calc™ EP is a sizing software for outdoor lighting installations which offers a simple and convivial interface to design the diagram of the installation and input very quickly the technical characteristics of the different elements. It takes into consideration all the specifications of the guide UTE C17-205 and brings an assistance to the user throughout the conception until the generation of a calculation report for the normative control of the installation according to the norm NF C17-200. 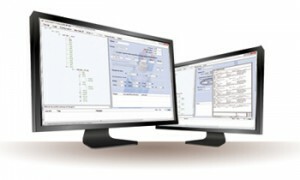 elec calc™ EP is a complete and easy to use professional tool, which meets the needs of engineering offices, local administrations’ technical departments, local organizations for electrical network supervision and maintenance as well as installation control organizations. All the elements constituting a lighting line are represented in such a flexible and dynamic way with their characteristics and their references so as to obtain the calculation results very close to reality. The lighting line is composed of light points with all their elements (posts, cables, cable lengths inside the post and their laying method, circuit breakers, derivation boxes, potential plugs on a light point, delivery point, etc.). Conception, optimization and control of an outside lighting installation according to the norm NF C17-200 and the guide UTE C17-205. 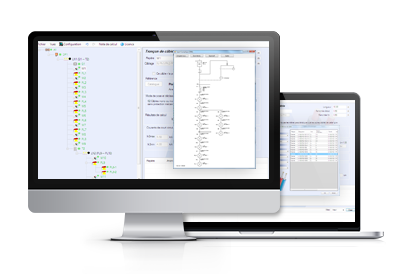 elec calc™ EP was developed with the technical collaboration of INEO Réseaux Ouest, a GDF-Suez Group company involved in the development and distribution of electricity. 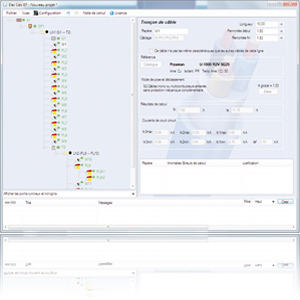 elec calc™ EP leans on the recognized expertise of Trace Software regarding to electrical calculation with the development of elec calc™ (previously named TR-CIEL, launched in 1998), authorized software by the UTE according to the French standard C15-100.